When integrity, quality and speed are on your short list. 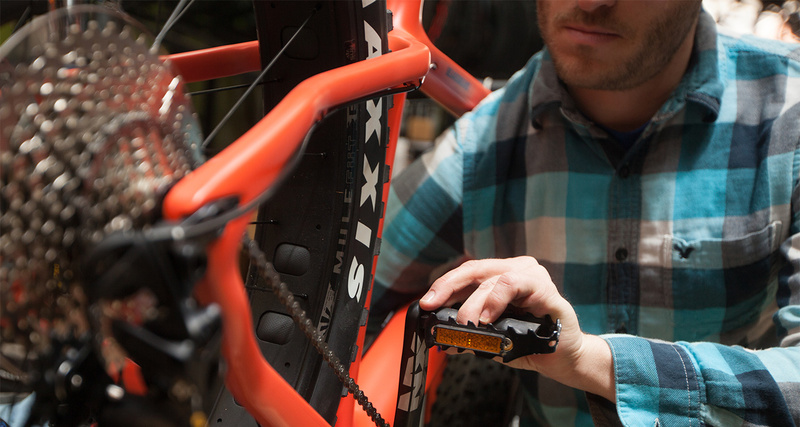 We're here for you and your bike, whether it cost you $15,000 or $150. Our friendly Service Techs offer options not ultimatums. We have a dialed service department with time optimized repair scheduling. What does that mean for you? Bring your bike in and under normal circumstances you should be riding it again in prime condition within 48-hours. Occasionally, a part could come from a non-typical supplier or life may hit us with a mack-truck, other than that, 48-hours. One of the perks of being one of the internet's premier bicycle parts retailers is that we have tremendous access to the parts that will get you out riding sooner than others. Our warehouse transfers happen every single day and in most cases arrive by 11am the very next day. This greatly speeds repairs up. Rarely, a part could have to come from a non-typical supplier which could cause a small delay. 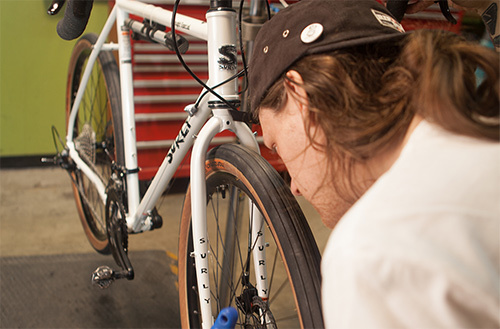 All new bike purchases from us come with free adjustments for life. This means if your shifting is just a little out of whack and we can pop it in the stand, you'll be out the door for FREE. Brakes not as tight as they used to be or a headset came a little loose? Yup, we'll tighten that up for you. So, now you don't have to sweat the small stuff, just remember your more major tunes, and when needed we'll do the in-between adjustments for free. If it's a quick 10 minute thing, it's an adjustment.